Somewhere along the line, the civil courts will have to stop niggling away at the shariah courts. So too with the civil common law and the Islamic law. These courts and laws are not meant to engage in a power struggle against each other; they are meant to complement each other. The constitutional provision is clear. Article 121(1A) provides for a dual legal system, wherein the civil or secular law goes hand in hand with Islamic law. The implication of this is that secular law cannot be used to modify shariah law – although the former is within the federal list, while the latter the state list – neither can the civil courts intervene in matters that fall within the jurisdiction of the shariah courts. To do so would be an affront to the very structure of our legal system. These are basics, of which even first year law students are expected to know, what more judges of the Court of Appeal. Notwithstanding Article 121(1A), however, Article 4(1) of the Federal Constitution on the other hand provides that the constitution is supreme, and as such any law which is inconsistent with its provisions would very much be open for challenge. The courts, therefore, have the power to declare any law unconstitutional to the extent of its inconsistency with the constitution. And this, the Court of Appeal verily did, in its recent judgment on transgenders and cross-dressing, wherein the three panel judges who sat and heard Muhamad Juzaili bin Mohd Khamis & 2 Ors v state government of Negri Sembilan & 4 Ors unanimously held Section 66 of the Shariah Criminal Enactment 1992 (Negri Sembilan) criminalising cross-dressing of any male person wearing a woman’s attire in public as void for supposedly being inconsistent with Articles 5(1), 8(1), 8(2), 9(2) and 10(1)(a) of the Federal Constitution. The gist of the Court of Appeal’s reasoning could be summarised, inter alia, (i) that the competence of the state legislature of Negri Sembilan on matters pertaining to the religion of Islam extends only insofar as to any conditions or restrictions imposed by the Federal Constitution; and (ii) that the state legislative assemblies in Malaysia including the state legislature of Negri Sembilan have no power to restrict freedom of speech and expression (and cross-dressing falls within such definition of expression). In other words, the court is saying that the Negri Sembilan state legislature went beyond its constitutional power in enacting such law as Section 66 of the enactment. Reading through the brief written judgment (the full written grounds of which have yet to be made public at the time of writing this piece), one cannot help but wonder whether the Court of Appeal judges had fatally erred in entertaining such a challenge to the constitutionality of the said provision in the state enactment, especially in light of specific mandatory procedure in clauses (3) and (4) of Article 4 of the Federal Constitution, which seem, based from the brief written judgment, to have been overlooked and not complied with. Clauses (3) and (4) thereof provide that a party seeking to challenge the validity or constitutionality of any law can only do so in a proceeding which may only be commenced with leave of a judge of the Federal Court. The key word here is that the leave must be from a judge of the Federal Court. It cannot come from any judge of any lower rank. But a perusal of the brief judgment reveals that the leave for judicial review for this case, which was granted on November 4, 2011, was given not by a judge of the Federal Court, but rather by Rosnaini Saub J, who is a High Court judge. Therefore, clearly the leave granted was bad in law, for the learned judge was in no position to grant such leave, and as such the whole proceeding null and void; and likewise the whole appeal should have crumbled and fallen at its very first instance. Of course, one could argue that be that as it may, the matter would still in any event be heard by judges of the Federal Court, once it is appealed to the Federal Court. But this would be putting the cart before the horse, for how could the matter be allowed to be heard when the leave to hear the matter has not even been properly granted as yet? Suffice for it to be said that this is such a fatal error which goes to the very foundation, and in the absence of which, the Court of Appeal should have just summarily dismissed the appeal for want of proper leave and due process. Moving on from the procedural aspect to the more substantive issues, looking at the Malaysian legal system as a whole, it must be admitted that shariah law plays a relatively small role in defining the laws of the country, for it only applies to Muslims. With regard to civil law, the shariah courts have jurisdiction in matters of personal law, such as marriage and inheritance. In some States, there are shariah criminal laws, such as the Kelantan Shariah Criminal Code Enactment 1993, and of course, the Shariah Criminal Enactment 1992 (Negri Sembilan). Their jurisdiction is, however, limited to imposing fines for an amount not more than RM5,000, imprisonment of not more than 3 years, and whipping of not more than six strokes. The fundamental Islamic position is that Islamic law should not be subservient to secular law. This principle must be read in the context of Article 3(1) of the Federal Constitution, which puts Islam on a very high pedestal by declaring it the religion of the federation. This in itself is not an allowable position for a secular government to take. But like it or not, this is exactly the position that the framers of our constitution had intended it to be. So now we are engaged in the process of deciding to what extent does this role of Islam in the Federal Constitution implies that Islamic law may NOT be lightly disregarded; and to what extent does it applies to persons professing the religion of Islam? It is in such light that one finds it difficult if not almost impossible to reconcile the Court of Appeal’s recent decision in excusing its appellants from criminal punishment based on the supposition that they suffer “Gender Identity Disorder”, a medical condition, as testified by various psychiatrists and other social experts. The court insists that because of such psychiatric condition, therefore, they have “human rights” that must be protected, even though they publicly and emphatically, as Muslims, practise non-Islamic behaviour. This is an impossible situation. Muslims excused from normal criminal punishment due to medical designations must at the very least be confined to treatment centres where their un-Islamic behaviour can be corrected by medical means. If such means are not readily available, they must be developed with all possible haste by the social experts who put the miscreants in such facilities. It is pertinent to point out that the American position seems to be directly in contrast with our position here. 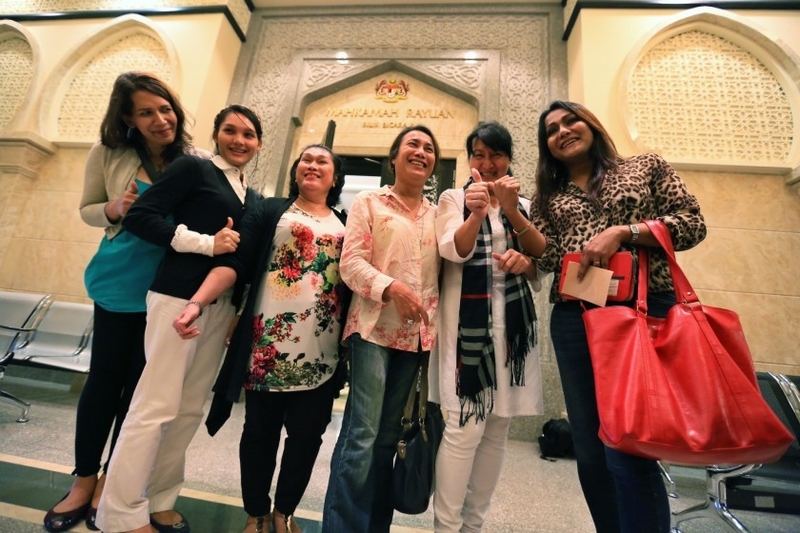 While our Court of Appeal judges who declared Section 66 of the Shariah Criminal (Negri Sembilan) Enactment 1992 against cross-dressing unconstitutional seem to have bought “the pity card” played by the appellants in justifying their unnatural behaviour as symptoms of the medical condition called “GID”, or “Gender Identity Disorder”, as mentioned above, the Americans, however, prefer to hold that no such “disorder” exists. In fact, the movement to declassify any form of gender or sexual preferences as decease began in 1973, when the American Psychiatric Association (APA) declassified unnatural preferences of gays and lesbians as a psychological disease, following intimidation and lobbying from gay groups and activists who consider it demeaning and insulting for their preferences to be classified as a disease. While it is noted that the Court of Appeal in its brief judgment referred to the Diagnostic and Statistical Manual of Mental Disorders, Fourth Edition (DSM IV-TR) published by APA, where GID is considered a disease, the fact however is that in its fifth edition, published in 2013, the APA decided to remove the term GID. Gender behaviour is now considered a free choice of equally free and mentally healthy citizens by the Americans. The inevitable question would of course be: is it or is it not a disease? If court decisions can be made on the basis of a supposed Gender Identity Disorder which has been declared non-existent by the American Psychiatric Association, the next question that follows would be where, then, could religious law fit in? The Quran clearly answers this question in the story of the Prophet Luth and his people. That answer is, whether the American psychiatrists like it or not, widespread GID behaviour is an affront to our Creator and will eventually result in divine retribution. On the contrary, the American position can also be argued to place GID behaviour squarely in the realm of social behaviour that can be legislated the same as any other overt public behaviour. This is similar to the challenge mounted by the United Nations Human Rights Council to Malaysia, which dialogue has not yet reached closure even though Malaysia has recently been elected to sit on the Security Council itself. The United Nations wants to protect all manner of gender deviances under the protective rubric of “human rights”. And so, evidently, does our own Court of Appeals judge. And yet, how can this secular concept of “human rights” simply dismiss almost universal religious opinions to the contrary? The decision of the Court of Appeal implies that even so-called Muslim deviants must enjoy the freedom of behaviour and dress implied by any constitution, including that of Malaysia. Can we allow this decision to stand? In fact, the Court of Appeal in reaching such a finding, applied and followed almost in-toto the decisions of the courts of foreign countries, namely that of the Indian Supreme Court’s in National Legal Services Authority v Union of India & Ors, as well as the United States Supreme Court’s in Tinker v Des Moines Independent Community School District. This is alarming, especially when such importations of foreign principles fail to take into consideration the inherent and irreconcilable differences that exist between our constitution and the constitutions of those countries, particularly with respect to the absence of any religion of the federation in the Indian and United States’ constitutions, very much unlike ours. If the shariah law could be dismissed in such a manner by drawing principles from foreign constitutions, one would shudder to think of what would and could happen to the position of Islam as the religion of the federation. In light of all the above, one would have to suggest that the only way forward would be for the state religious authorities to appeal to the Federal Court and to all of Malaysia as a sovereign Islamic political entity to reassert her position at the international level. Perhaps we need to revisit our position at the Organisation of Islamic Cooperation (OIC) and recent United Nations reviews and requests. – November 17, 2014. * Azril Mohd Amin is a lawyer and executive director of Center for Human Rights Research and Advocacy (CENTHRA), while Aidil Khalid is a lawyer and senior fellow of CENTHRA. * This article first appeared in Malay Mail Online, 17 November 2014; and The Malaysian Insider, 17 November 2014. November 18, 2014 in Perlembagaan Persekutuan.